This is the fourth volume in the series of music that sustained citizens and soldiers in the Southland during four long, hard years of war. 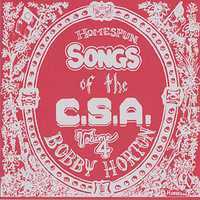 Like the others, I played all the instruments, sang all the vocals, did the artwork and liner notes by hand, and recorded here in my home studio on a Fostex 8 channel analog machine – hence the "Homespun" in the title. This work was done in 1988.